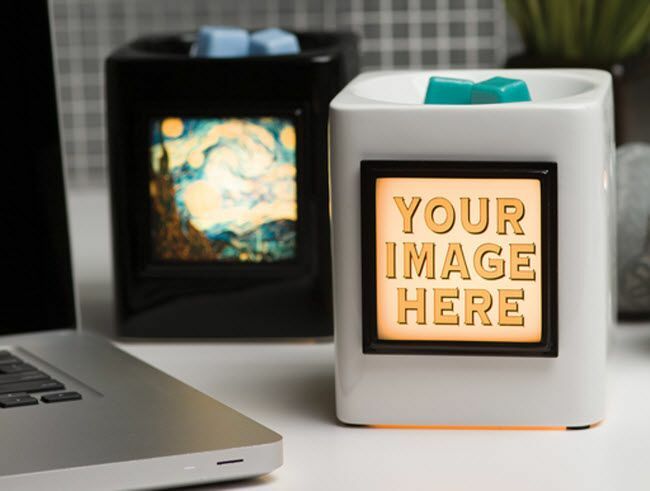 Starting August 1st, customer's can easily customize a Scentsy Frame with any logo or image to complement one of two specially designed sleek Custom Gifts Warmers in black or white. Custom Gifts shipments will begin Sept. 1st. Businesses can gift these beautiful warmers to customers and employees. Families can commemorate family reunions, weddings, or anniversaries. Organizations can optimize fundraising for their band, team, club, or charity with customized warmers. The possibilities are only limited by your imagination. Scentsy Custom Gifts may also be ordered with any of three frame designs from the NEW Van Gogh Gallery Frame Collection, instead of a custom frame, to add a little piece of artwork to any home or office. Scentsy Custom Gifts will arrive approximately 30 days after completing the order. Watch the short video -- Why Scentsy Custom Gifts! Scent & Warmer of the Month - Our Warmer of the month, God Bless is truly a beautiful patriotic warmer. She proudly waves the good 'ole Red, White, and blue on her weathered cream background while the red rustic stars encircle the warmers lid. Our Scent of the Month, Bananaberry, is lusciously sweet banana cream layered with succulent strawberries. In honor of the playoffs, the Scentsy Slapshot Warmer is now 40% off! Our hockey-themed warmer is the perfect way to celebrate the end of the Hockey season. The discount is only available through the playoffs (June 28th) so order yours today! Ready to hit the beach in style? Our June Host Exclusive is a canvas tote made for long, sunny days, complete with Havana Cabana SPF 50 Lotion and Havana Cabana Lip Balm! Simply use your Half-Price Host Rewards earned with a qualifying party of $150 or more to snag this stylish tote for $35! There are too many reasons to count on why I love being a part of the Scentsy Family. One important reason is because they encourage their consultants and their employee's to Pay It Forward as much as we can. As consultants, one way we can do that is through Scentsy (Velata & Grace Adele too!) fundraisers. Right now I am doing a fundraiser for Katie Graham, who has been diagnosed with a fatal genetic disorder called Mitochondrial Disease. Place an order through www.MeltMyScents.com/Katie and 100% of all commissions will be donated to the Graham family. To learn more about Katie, follow her journey through her Hope for Katie page! have to do is fill out the information found here and we will mail a sample a few days before the scent becomes available. Your sample will arrive just in time to order on the 1st of each month. The SOTM is always 10% off! If you would like to get a jump start on the next best scent that Scentsy has to offer, this is a great opportunity for you. This offer allows you to explore Scentsy's new and exciting scents every month. 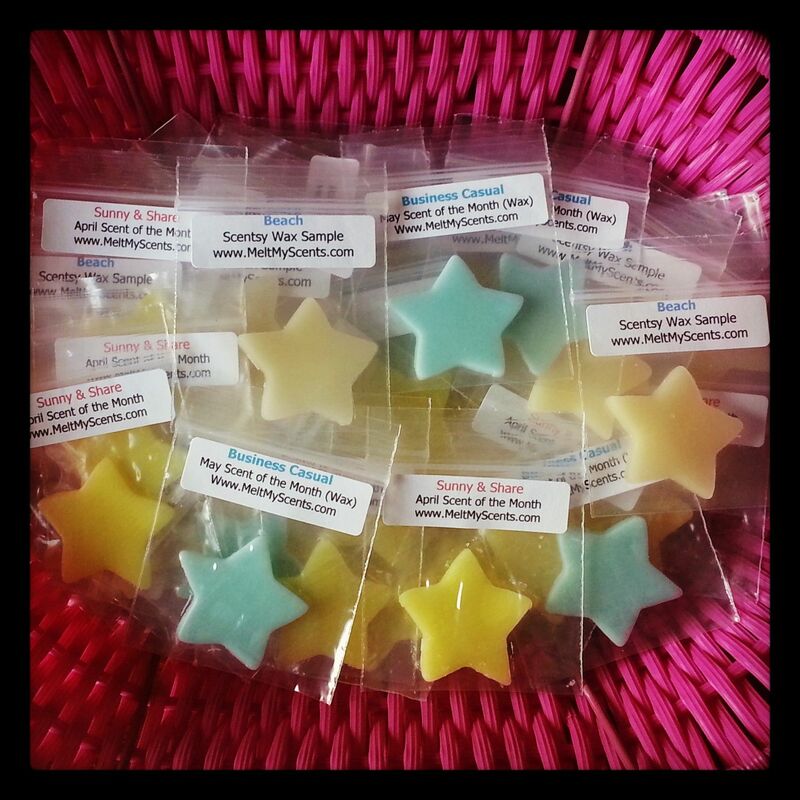 We love sharing new scents with you, you never know which one will be your new favorite! Unfortunately the free samples are only available in the U.S. but we are working on expanding it to other countries too! Last month I had the honor of meeting a very special little boy named Addison Kleinhans, his older sister Madelene and their parents Sarah & Kip. 3 years ago on April 6th, 2010 Addison's world changed when he was diagnosed with Acute Lymphoblastic Leukemia. 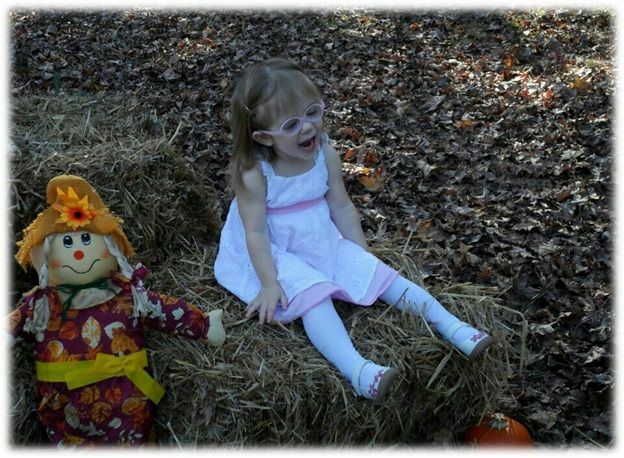 The past 36 months Addison has gone through daily chemo and medical procedures. In two months, Addison will have his LAST chemo on June 18, 2013!! !